Marysville, Ohio is not known for its tourist appeal. It is a lovely community with a long history. It is home to Scotts Miracle-Gro Company, a regional Goodyear factory, and Nestle’s product development facility- quite an industrial resume for a town of 22,000, but not exactly a world-class list of draws for out-of-towners. Yet soon, Marysville will be home to a destination that has even we homebodies considering a road-trip: a tour of the plant where the 2017 Acura NSX is being manufactured. When the NSX was originally introduced in 1990, it was the first ever Japanese car to compete with, and by all accounts offer a significant challenge to, the European performance automotive giants. 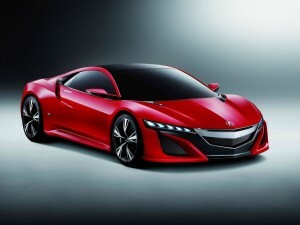 Acura is taking this year’s reborn, redesigned NSX as an opportunity to take another page out of the European sportscar playbook; some of the world’s high-end carmakers offer tours that allow folks (like us) who loves these vehicles, but can’t quite afford a $200,000 price tag, to see the birthplace of our dream cars. Acura’s Marysville plant will soon offer that kind of distinctly European experience much closer to home. We still don’t know the exact date that the factory will start opening its doors to visitors, but we’re excited enough about seeing NSXs in the making that we might just hitch a ride to Ohio and wait it out. Who knows, in the meantime, maybe we can see if Nestle is giving out free samples.